Make the Future Singapore is not just another festival celebrating scientific and engineering innovations. It is one that will come alive through contributions by the brightest young minds across Asia. Through virtual reality and hands-on experiential zones, find out what the future of energy might look like, as the world taps on natural gas, renewables and other low-carbon technologies. 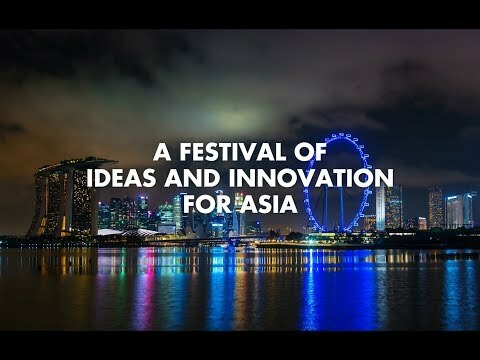 The festival returns to Singapore for a second year from 8-11 March 2018, where visitors will explore the future of energy and mobility through open dialogue and thought-provoking experiential zones. The Bright Ideas Challenge, a national inter-school competition, called for students to ideate innovative solutions to tackle the energy challenge faced by cities of the future. Crowning of Asia’s fastest and most energy-efficient driver marks the end of four-day festival of bright ideas and innovation in Singapore. Innovation and commercial mindset, are crucial for the future of Asia, the future of this planet. ...and is really focused on those young entrepreneurs and people with great, bright ideas. then I think, you know, that’s going to be a major contribution that we can make. ...the span and the breadth of it, is fantastic. ...will further contribute to Shell’s and our efforts to make urban living sustainable, clean and green. You guys are going to London! The world needs significantly more energy. Powering Progress Together is all about exploring how we can make the future together. …is to bring people with the ideas together. Southwest and Shell have been working together for many, many years on many different types of projects. There are ever advancing technologies and it’s great to see these technologies being developed at the Shell Eco-marathon. ...thinking about being sustainable, and I think that’s a wonderful thing. Shell Powering Progress Together comes to Singapore for the first time on 16 March 2017. It will bring together a wide range of stakeholders across all sectors to discuss, debate and catalyse cross-border collaborations to tackle future energy challenges. Bring your school to Make the Future Singapore – a festival of ideas and innovation at Changi Exhibition Centre – on March 8-11, 2018.